One Eternal Day: "There is such a thing as conscience"
.... He was born into an aristocratic Prussian family that had produced a long line of cultural, diplomatic and military leaders. Mr. von Kleist followed in their stead, becoming a Wehrmacht lieutenant while still in his early 20s. But like his father, a well-placed German professional, Mr. von Kleist became deeply disturbed by Hitler's leadership and the brutality of the Nazi apparatus. The father and son joined a circle of aristocratic and military leaders who mounted an opposition against the Fuehrer. 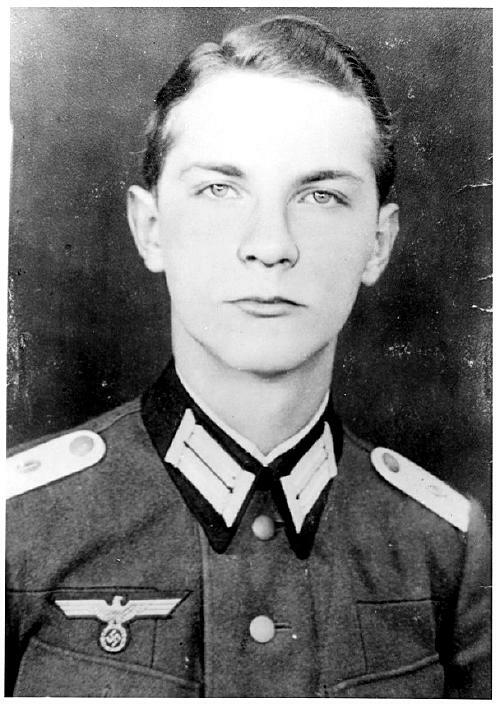 Other attempts preceded it, including one in early 1944, after Mr. von Kleist had been wounded on the Eastern Front. He was recuperating when he received a telegram recalling him to his unit. He assumed he would be required to resume his duties, but when he arrived, he received an unexpected request: to carry out a suicide mission to assassinate the Fuehrer. "My father said to me, 'You have to do it. If you fail at such a moment, you'll never be content again in this life.' I decided to do it. I don't think it was a question of courage. There is such a thing as conscience." According to the plan, Mr. von Kleist would be the officer assigned to model a new uniform at an inspection by Hitler. His uniform, however, would be strapped with explosives. Before the plan could be carried out, Hitler's plane was diverted, and the opportunity passed. Months later, Mr. von Kleist very nearly became the central figure in Operation Valkyrie. Von Stauffenberg had initially asked Mr. von Kleist to carry the briefcase into the Wolf's Lair, as Hitler's eastern headquarters was known.